Stylize your images with vintage actions, customizable light leaks, sharpening, glow, frequency separation and much more! 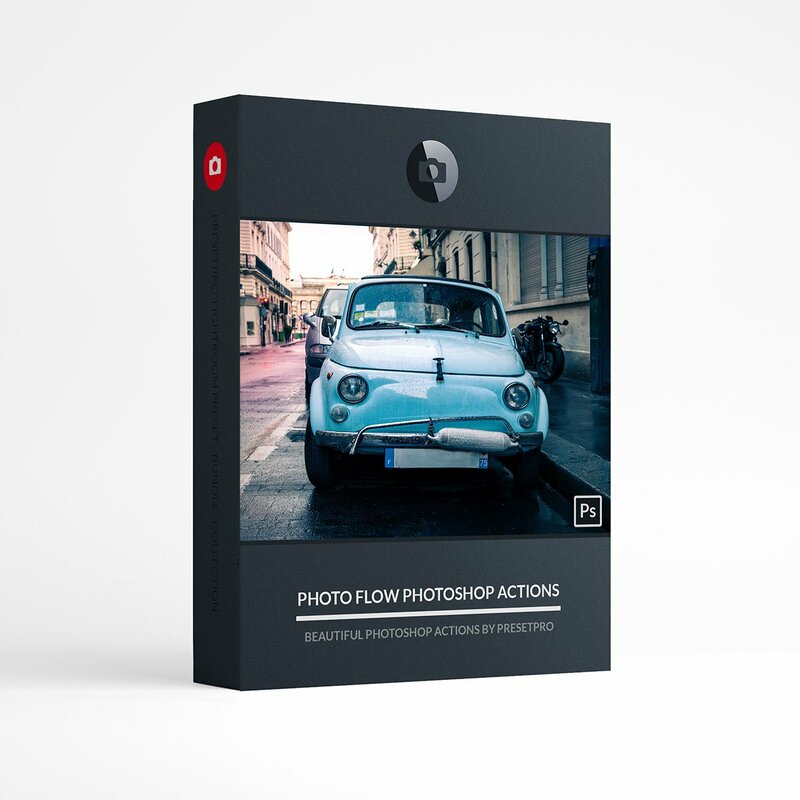 Beautiful Photoshop Actions: The Photo Flow Collection is perfect for all types of photography! Stylize your images with vintage and cinematic actions, film fades, light leaks and Orton glow effects! Sharpen like a pro and remove noise in one simple click! Enjoy the huge selection of customizable light leaks and easily adjust the colors to create your own unique look! This powerful collection will speed up your workflow and allow you to create stunning images with a few simple steps! Works with Photoshop CS6, CC & 2018. Actions will work with JPEG images. Looking for Lightroom Presets? Get the Creative Flow and enjoy over 1200 Lightroom Presets & Creative Brushes: The Creative Flow is the ultimate workflow and premium preset collection by Presetpro. The Creative Flow is your own personal preset “tool box” where you can swap out tone curves, change base settings or easily color tone your image with a few simple clicks. When you purchase the Creative Flow you get all of our premium collections (at a discounted price) plus the Creative Flow workflow and Creative Brushes. Enjoy the power of 1200 + Lightroom presets integrated into one simple and easy to use workflow! The Creative Flow works with RAW and JPEG images and will run in Lightroom 4, Lightroom 5, Lightroom 6 and the Creative Cloud.